"Given that we roughly have nine percentage points in our favour with Kuldeep, it's hardly a risk to side with him"
Is there a more competitive betting heat than India's top-bat market in ODI? Probably not. Only seven percentage points separate Rohit Sharma, Virat Kohli, Shikhar Dhawan and KL Rahul in terms of their chances of copping. On pure numbers, Rohit is the most likely and should be 11/4. Kohli is a 14/5 chance, Dhawan just shy of 3/1 and Rahul 4/1. Betfair Sportsbook have rated Rohit at 10/3, Kohli at 13/5, Dhawan at 10/3 and Rahul at 9/2. In short, then, Kohli cannot be considered a wager. 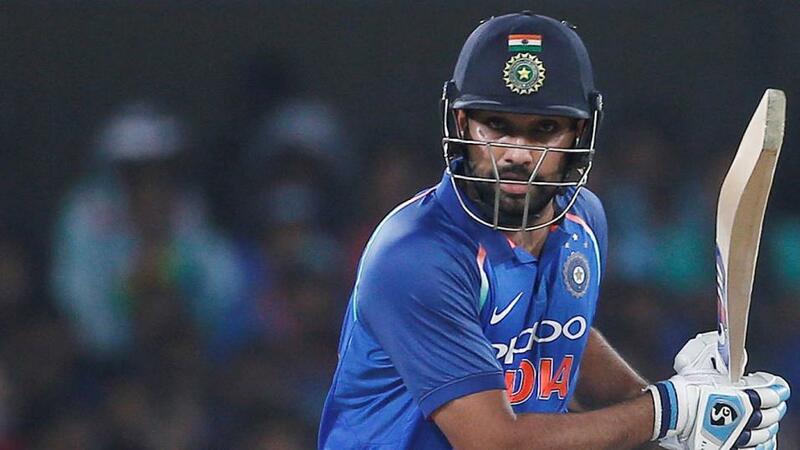 The form of Rohit and Rahul in the T20 series was eye-catching and backing either here would make sense. Rohit is also available to back on the runs quotes. Sportsbook go 5/6 over 28.5. The opener is 13/8 to score a fifty and as tempting as that bet sounds given he seemed to hit top form with that century in the final T20, the price is too short. Rohit hits a fifty 29.3 per cent of the time. Jonny Bairstow, who has been prolific since being promoted to open for England in ODI, is the same price for a fifty. Yet despite a 36 per cent hit rate (as opposed to a 29 per cent ranking in his career) we can't justify the bet. In the last 12 months no team has scored more ODI runs than England. No team has hit more sixes. Second on both lists are India. It is the big bats which make this series such a blockbuster but if there was a contest for finesse India would probably take the honours. They only trump England in terms of fours struck, which is a slightly less muscular art. Betfair Sportsbook rate India at even money to score more fours than their hosts in Nottingham. England are 4/5. Should the tourists be favourites? Or, more realistically, is it a choice affair? The devil is in the details. Although India have struck 536 fours compared to England's 527 in the last 12 months, it is the per-game average which interest us. India average 24.3 fours per match over the last four months compared to England's 25. In the last two the numbers are India 23.9 versus England 25.1 and in the last three it's 23 plays 24.5. The 4/5 seems fair then, although it's pretty tight. India have lost the No 1 bowler in the world and the top wicket-taker over the last 12 months. That means their top bowler market should be wide open. Bhuv Kumar, Kuldeep Yadav and Yuz Chahal are bidding to be dog in his absence. Chahal should be a major runner here considering he is second to Bumrah on the world wickets list in the last year. But it is in fact Kuldeep who is the man to follow, even if he is rated the jolly at 11/4. We make him a 9/5 chance. Chahal is also underrated. He gets a 3/1 shout when he is more like 5/2. Bhuv Kumar should be a couple of clicks bigger than 7/2. Given that we roughly have nine percentage points in our favour with Kuldeep, it's hardly a risk to side with him.